It’s that time of year again where love is in the air!! I’m sure I don’t need to remind you about Valnetines day, the shops are doing a pretty good job at reminding us all of that on their own. A happy day for some, although usually only of vague enjoyment… except for the singletons, who may be feeling acutely aware of their single status and the exclusion they feel at not being invited to this particular party. That's where GALentines (or PALentines as the case may be,) comes to the rescue!!! The concept is similar to valentines, except it happens the day before on the 13th. Friendship is not bad luck afterall and we all need friends. So why not celebrate and include all your friends, single or not to join in the proverbial party. Being a weeknight, and keeping in mind many of your friends WILL still want to celebrate Valentines Day too, it might not be the best time to host a dinner party, and with so many of us working during the day, that might not be an option either. 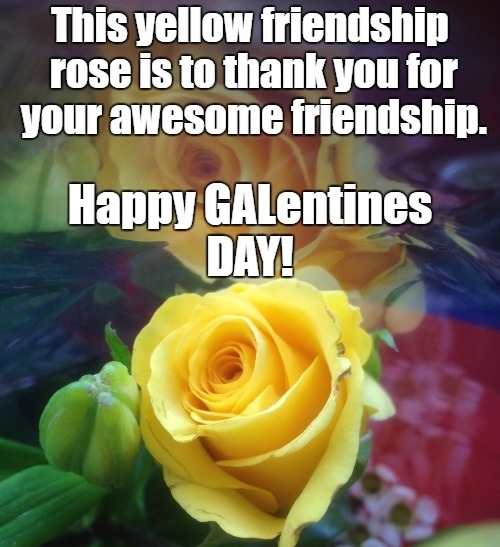 The general gist of GALentines day is that you do something special for your friends – to let them know how important and special they are and how much you value them. Ideally, you could set up some time to spend together, if not on the day, some other time that suits. It is called GALentines day to celebrate females and their friendships with one another, but if you have male friends, or happen to be a male identifying person yourself even, we could also use PALentines – to be even more inclusive. Character Leslie Knope (Played by Amy Poehler) from Parks and Recreation was the creator of this concept! See my post from last year for any ideas on how to celebrate this day with your friends. Personally I like to hand out 10 yellow roses. (The friendship rose) with a little foil wrapped heart attached to a handmade card and a special note inside thanking my friends for their friendship. I leave it on their front door. I take a picture of it so they know it was there and message it to them, which always prompts a conversation about when we can spend some time together, along with some loving words meaningfully exchanged. For those of you with less time for a little rose run, a picture, email, message, phone call or poem etc… works just as well. The point is to put conscious effort into your friends for one day, and make EVERYONE in our lives feel loved and special and celebrated. Today is Friday the 9th of February, so you have the weekend to think about what you want to do and say, and until Tuesday for execution of your plans! Share this idea with as many people as you can, because the world could always use some more love, and that way, maybe your friends will also do something nice for you in return! I don’t know if you have noticed this, but I usually publish my posts on a Friday. I have dubbed them Friendship Fridays! This serves as a weekly reminder for me every week to reach out to one of my friends and check in. If possible, I make plans to catch up with them, and if not I just let them know that I was thinking of them and I care. So far it has proved very successful, and if GALentines, PALentines or even Valentines is too contrived and commercial for you, I challenge you to try Friendship Friday’s instead! Or do both! I do. The idea is to make friendships a conscious priority and it is the sentiment that matters more than the date! Are you up for the Friendship Friday’s challenge? Sharing is caring people. 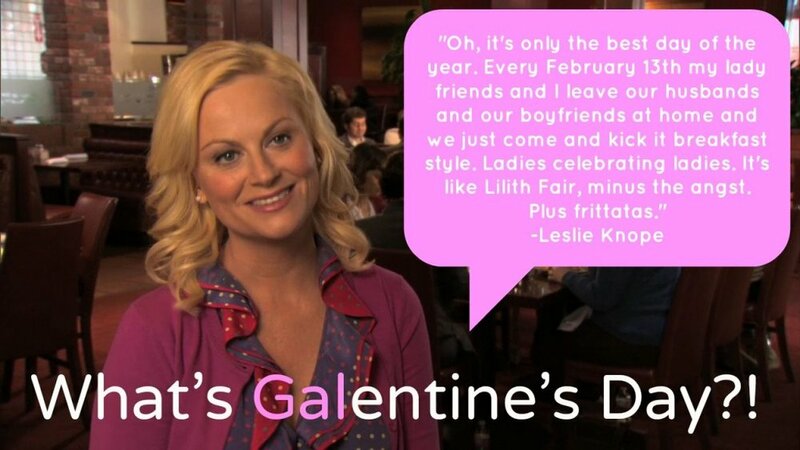 Happy GALentines/PALentines to you all! Newer PostDealing with Demanding Friends.